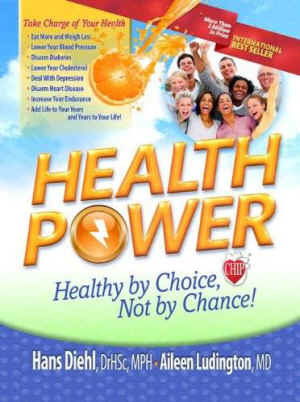 Health Power: Health by Choice, Not by Chance by Hans Diehl and Aileen Ludington is available through Amazon. hours reading through that same book a second time. The book is Health Power and the author is Hans Diehl. What's the big Diehl about Health Power? Hans Diehl, that's what. Hans Dielh, that's who. Dr. Diehl's hands-on approach to balancing the human body to become all that it can be has been an inspiration to millions of people. and reading such brilliant simplicity. "Our bodies are about 70 percent water, and our kidneys process more than 47 gallons of it per day." Think of that! We have a continuous waste-treatment plant running 24 hours per day, and most people live their lives under-hydrated, thereby abusing that facility. When the subject is "change", most people do not know how to come about it. 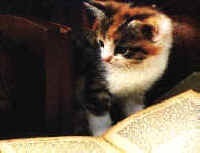 Dr. Deihl asks on page 232: "Hard to get up in the morning? Hard to exercise? Can't shed those extra pounds?" Step by step, Health Power touches every base and hits a grand slam! Follow my lead and do as I plan to do. I'll soon be reading this easy-to-read magnificently illustrated book a third time. Ask one million Jews, "Who is the best doctor in the world?" and you will get one million and one different responses. Every Jew knows for certain that his doctor is the best. Ask one million Seventh-day Adventists (SDA) "Who is the best physician in the world?" and more often than not, you will hear the one name upon which almost all agree; Doctor Hans Diehl. The 14 million observers of the Seventh-day Adventist faith belong to a movement that was based upon eating a plant-based diet. No meat. No dairy. Fruits and vegetables. The Spiritual founder of SDA, Ellen G. White, delivered her message to followers of every faith; Christian, and Muslim, and Jew, and Buddhist: that in order to properly worship and adore the teachings of the prophets, one must first have clean blood. In order to achieve clarity, one must first cleanse the body of that internal "fog" caused by eating filthy meat and milk proteins. Ellen White did not have the benefit of 21st-century science to support her visions. Today we know that animal proteins contain an abundance of sulfur-based amino acids (methionine and cysteine) creating that "filth". Plant proteins are cleansing when compared to animal proteins. Dr. Dielh has taken Mrs. White's teaching to a higher plane in his well-publicized heart study, also known as the CHIP program (Coronary Health Improvement Project). Health Power will add healthy years to your life. Dr. Hans Diehl is much in demand as a stimulating, dynamic, and entertaining world-class speaker. His message is that people don’t have to die of Western killer diseases. Visit his Facebook page.